Enjoy your day your way with our selection of unique North Hollywood wedding venues. 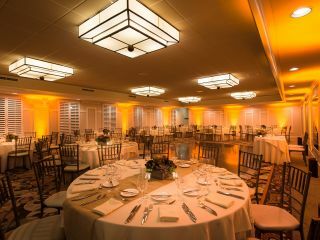 Choose from the charming outdoor space of Beverly Park or The Courtyard, the glamorous Garland Ballroom, and the intimate, yet sophisticated Father Serra room for your picture-perfect wedding ceremony or reception. 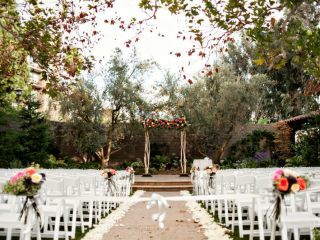 Beverly Park offers an idyllic outdoor space easily accommodating up to 250 guests for a ceremony. This garden is adorned with a refined stone fountain and cozy fireplace set against a vibrant landscape of towering sycamore trees, flora and beautifully manicured lawns. 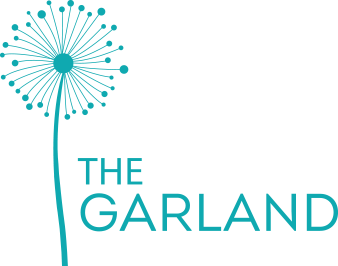 The expansive and elegantly appointed Garland Ballroom, with its 5,100 square feet of customizable space, offers accommodations for up to 300 guests for a wedding reception. 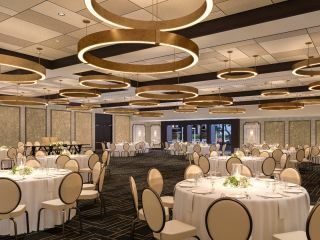 Smartly designed with minimalist décor, neutral tones, and chic chandeliers, the Garland Ballroom easily transforms to seamlessly incorporate your wedding theme and colors. 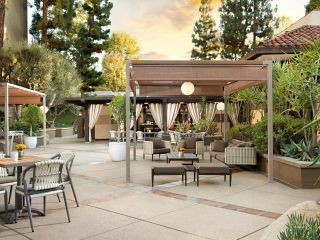 A second option for an outdoor celebration, The Courtyard features several cabanas, a quaint water fountain and offers up to 200 guests for an al fresco cocktail reception. The ideal setting for an intimate ceremony or small reception, the El Camino room is a flexible space, accommodating up to 100 guests for dinner and dance. The timeless, understated design of this elegant venue makes the El Camino room perfect for personalized and custom themes.